The EPS Historic Sites Committee gathering around the bust of Alfred Nobel. Also present at the meeting, the President of the EPS Rüdiger Voss. Credits: Rüdiger Voss. 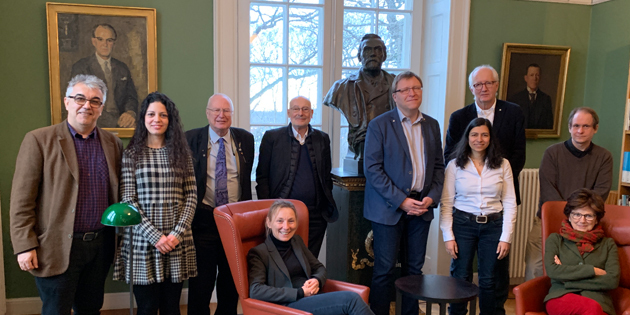 A special meeting took place on January 21st, 2019 at the Royal Swedish Academy of Sciences in Stockholm. 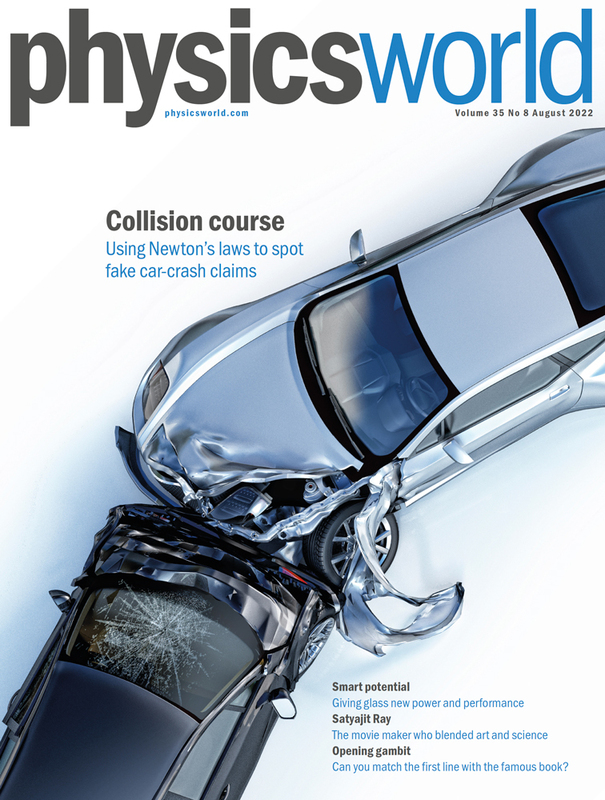 It was a face-to-face meeting of the Historic Sites (HS) Committee of the European Physical Society (EPS) where the HS programme was reviewed, new ideas were launched and a new HS Committee, with a new composition and a new Chair, was established. The HS programme dates back to 2011, under the EPS presidency of Luisa Cifarelli. The idea was to honor and commemorate with the HS award places in Europe (or even elsewhere) important for the development and the history of physics. Sites with national or European/international significance to physics and its history can be considered for this distinction, namely places (laboratories, buildings, institutions, universities, towns etc.) associated with an event, discovery, research or body of work, by one or more individuals, that made long lasting contributions to physics. Nominations are open throughout the year from the EPS website and reviewed 2-3 times/year by the HS Committee. The EPS works with the nominators to obtain local authorisations for placing a plaque and in organising an official inauguration ceremony. Through January 2019, 76 proposals were received, almost all of them approved, and 44 EPS Historic Sites have been inaugurated in 21 different Countries. The past EPS HS Committee, chaired until now by Luisa Cifarelli, was composed by a number of past presidents of the EPS, the Chair of the EPS History of Physics (HoP) Group and two observers: one from the EPS Young Minds (YM) Committee and one from a foreign learned society, namely the American Physical Society (APS) whose similar Historic Sites programme inspired that of the EPS. The present EPS HS Committee includes Goran Djordjevic (Serbia), Ursel Fantz (Germany), Alain Fontaine (France), Jim Hough (UK), Fritz Wagner (Germany). The observers are Alan Chodos (USA) for the APS and Araceli Venegas-Gomez (Spain) for the EPS YM. The Chair is Karl Grandin (Sweden), also Chair of the EPS HoP Group. Luisa Cifarelli (Italy) will remain in the Committee for another year or so, to ensure some continuity. For each EPS HS award ceremony so far, one could notice an improvement of mutual relations between the EPS and local national Member Societies, Associate Member Institutions and Authorities, an increase of EPS impact and visibility, and at the same time the enhancement of some “spirit of belonging” to the EPS. Moreover, the EPS Historic Sites initiative has raised the awareness that not only the artistic and natural heritages must be preserved for humankind but also the scientific one. This was the goal! Coming soon, in February, the inaugurations of the High Altitude Research Station Jungfraujoch in Switzerland and of the Institute of Physics of the University of Palermo, in Italy. The latter commemorates the discovery of technetium by Emilio Segrè, a timely event this year among the many celebrations of the International Year of the Periodic Table of Chemical Elements (IYPT2019).